One of my friend suggested me to join P2G tecch. When I visited the P2G tecch i talk with Hari sir I felt this is the best Place to do some course in networking field. Here we Have World Class trainers ( Good teacher make you good student ) and Mr. Hari Prasanna sir he is the best trainer for CCIE. P2Gtecch has helped me to get placed in a good organisation and as well as prepared me for the future. I really would like to come back again for more courses. While I was discussing about strengthening my Network Security skills with my senior colleague at the work place, I was referred by him to P2G tecch. As he had received positive feedback from one of his teammates who pursued training here at the same institute. Mr. Hari is the trainer here at the P2G. He explained about the course structure the institute offers, the duration and the fee structure. Though I haven't been to any other institute for enquiring on CCIE-Security training, but from the word of mouth, I understood that the fee structure offered here at P2G is far less compared to the others and affordable too. Now about the Trainer, Mr.Hari. Two most important and positive comment about Mr.Hari. 2. Teaching methodology - Nothing new, the traditional way of teaching, but with a difference - he ensures the entire class understands the concepts he taught by probing questions, make us think, recall what was taught and answer by our self. This does not stop here - followed by giving all of us a task to complete before coming for the next day. This way, we get used to find answers searching online and learn the art of searching and self-learning. I guess he thinks that his job doesn't end by just completing the syllabus and move on to the next batch. He provides guidance for students who are looking for job change and for freshers who are looking for an entry into the networking and security domain. Of course, we can earn the job only by our own efforts and it all depends how much efforts we put in and how we make use of Hari sir's guidance. If you are looking for preparing and getting trained on CCIE-Security certification and other top Firewall certifications and also, if you are looking for a job change/first job in Networking and Security, you should come over here to the P2G Tecch!!! 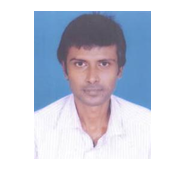 Hi, I'm Jegath Rakshagan (CCIE-36023), I have cleared my CCIE Security exam in first attempt. All appreciation goes to P2G tecch for providing the best infrastructure with 24*7 study environment. I would like to thanks Mr.Hari Prasanna. I was trained by him. Whenever i had my questions, he was always there to answer me. 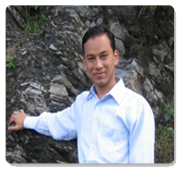 Mr.Hari Prasanna is the best trainer I had met ever .The way he teaches and interacts with students is awesome. I would recommend P2G tecch for anyone who would like to start their career in Networking. 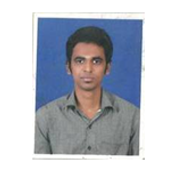 I have done CCSP from P2G TECCH, I was trained by MASTER trainer Mr. HARI PRASANNA, who has made more than 120 CCIE's. 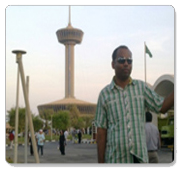 Currently I am working with HCL as a security specialist. Thanks to management team of P2GTECCH and Mr. Hari Prasanna for 24*7 Lab facility and special thanks to Hari sir for your invaluable support and excellent training. I highly recommend P2GTecch for Cisco, Juniper and Checkpoint training in Security domain. 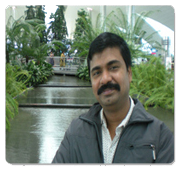 Hi, I'm B.Sarat chandra from Andhra Pradesh. Today I'm CCIE 35774, I've been with P2G tecch for six months and it's amazing that I've learnt lots and seen further improvement rapidly. The teachers are tactful, easy-going, friendly and perceptive and have experience and necessary qualifications for teaching. My endeavours along with P2G tecch's help have resulted in the achievement of my dreams. For me the most rewarding component from P2G tecch program was the class discussions, which allowed one-to-one as well as clarifying doubts. It also established brand name & great placement opportunities for its students. The classes were challenging, but each one of us was able to learn so much of it! A great thing about the Hari way of teaching is that practical exercises go hand in hand with theory. This means that the moment you have finished your study, you posses all the skills you need for work. It was not just the material our teacher had chosen, but also the way he made the lessons interesting every single day. Being a very caring person, he was always willing to help us with any kind of problems and corrected our voluntarily solved solutions very quickly! If you want to do a different, informative, fascinating Networking course, go for it, join P2G tecch. Today, P2Gtecch has helped me to get placed in a good organisation and work environment as well as prepared me for the future. I really would like to come back again for more courses. One of my friend suggested me to join P2G tecch , Chennai. When I visited the P2G tecch I saw the LAB ,Faculty and infrastructure and I felt this is the best Place to do CCIE and Hari Prasanna sir he is the best trainer for CCSP and CCIE. He trained me for CCSP & CCIE and he cleared my all doubts. Due to lack of time I was not able to practice lab. So, he provided 24/7 Lab Access (RACK online) and now i m doing CCIE lab from my home which is very useful for me. I suggest everyone to join P2G tecch who are sincere to complete CCIE, other networking courses & pursue their career in networking, it is the best institute to complete CCIE and I wish all the best for P2Gtechh students. 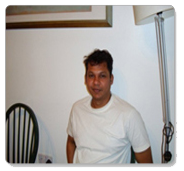 I know Hari for quite some time, who is expert in network and security technologies and knows how to effectively articulate it to anyone to understand the complex technical concept easily. P2G tecch is equipped with network and security racks to learn and master the concept. The lab is enabled with devices to practice the topic that are tested in popular network and security labs. Learning CCIE at P2G Tecch was a real good experience. Knowing other people experiences with fake institutes charging exorbitant fee and low on content I had lost hope of any good CCIE Security Training Institute in India. On my friends recommendation who had benefited immensely I joined P2G Tecch. 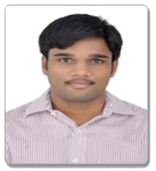 Faculty, Hari Prasanna is an excellent trainer having good industry as well as teaching experience. Patience is what I would call one of his best characteristics among others. No doubt all our legitimate and illegitimate queries were properly answered to our satisfaction with the same zeal. Having extremely satisfied with the kind of training I have received here I would be happy to recommend P2G Tecch for all those who are seriously thinking of getting into networking field. P2Gtecch gave me an opportunity to explore the unknown and realize my true potential. Thank you P2Gtecch for giving me this opportunity to learn all the Network Security technologies and the Lab practice it takes to succeed. The technology I received from Hari Prasanna is rarely taught by any one, where he teaches from the basics to advance level in a simple way like (L2-L7). 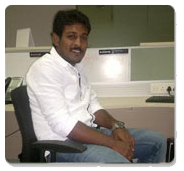 I am kumar sivaraman working in CTS and having an experience of 14 years in IT. As we all know, it is imperative to keep our skills updated and learn new technologies to enhance technical capabilities. 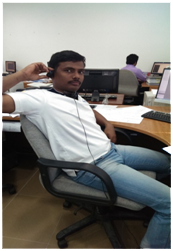 Thereby I decided to take up P2G tecch and completed various certifications, it turned out to be best experiences that I ever had as exposure and labs were quite awesome which helped in day to day work environment. As far as P2G tecch is concerned, mentoring was simply outstanding as it installed confidence in me to pursue CCIE from P2G tecch which possess very good facilities and boasts of tremendous growth in the field of security. It proved to be a stellar one as far as knowledge is concerned as it helped in troubleshooting and other tools efficiently. 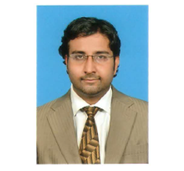 Knowledge and insights imparted by P2G has propelled me to new heights in networking field. Adding to that P2G has helped me with placement also. Now, I am working at NPCI, managing all three grids of financial network in India. All the credit goes to our trainer Hari Prasanna Sir. He has been crystal clear in his explanations and very patient in cl arifying our doubts. His syllabus & methods were well organized and the practice tasks given by him were challenging. In short , If you are looking forward to start your journey towards CCIE , there cannot be a better place than P2G. To start with, P2G has the best & the most friendly faculty, who is always willing to help and explain things in detail N number of times. P2G is the best place to learn & in simple terms "It's worth the money we invest". 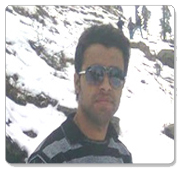 Hi,This is Praveen working for Reliance, My dream came true because of completing Networking course in P2G Tecch. A special thanks to them who are all trained me to attain a good professional knowledge in Networking.